Ordet is the personalized emo-acoustic work of Connor Rothstein from Voorhees Township, New Jersey. Debuting with the 7-song EP, You Are Now Leaving the Boardwalk of Fame & Happiness in April of 2014, Ordet shares very personal and raw experiences through this collection of songs. The acoustic album was recorded within two days in the spring of 2014 through a TASCAM Portastudio at his house, which makes this record very pure and unique. The EP begins with a track titled “It’s a Dirty, Dirty, Lonely Drug,” which has a very beautiful yet moody/spooky feel to it. I really like how up-close this song is. It seems to be dealing with the mix of emotions after going through a break-up. This introduction track covers a range of emotions from sadness to anger and everywhere in between. The end chants, “If this is all just a means to an end - then a man in my shoes is falling off the edge,” which is a power-emo line. The second track, “Dying… To Survive,” has great guitar work. The cord structure and changes are tasteful and expected. This song deals with reminiscing to the times where we chose our vices to suppress our sadness of losing love. The third track, “Everything & Her,” is one of my favorites. The guitar is very straightforward, catchy, and pretty. Besides the guitar work, the lyrics are poetically beautiful. The overall theme of this song deals with loving someone so much to the point where you prioritize them over you; loving someone else more than yourself. Love is powerful and can make you feel so small when it’s ripped away. This song is emotional, but also very sweet in regards to Jane Doe. “Heartbreak is a Five-Letter Word” is also one of my favorites because it immediately hits you with a feel-good campfire mood. I personally love Connor’s voice in this one. I think his voice really shines in this range. This song continues with the melody of losing love and regret. The last line, “These songs don’t belong as much to me as they belong to you,” pulls at the heartstrings. The fifth song, which is essentially the title track, is an emotionally optimistic journey. It deals with the idea of finally overcoming the past, defeating depression, and essentially just moving on after going through a traumatic situation. The sixth song is a 7-minute atmosphere of purely boardwalk noise titled “The Things I’m Sure Of,” and the final song, "(Epilogue) April 5, 2013” is a very catchy acoustic jam. With sweet electric guitar lead throughout the song, “Epilogue” is reminiscing of the boardwalk, the memories, and the past -- while accepting something and someone new, the overall theme of moving on and becoming “gone" from someone else’s life. It has a very hopeful and optimistic mood, which ends the record perfectly. 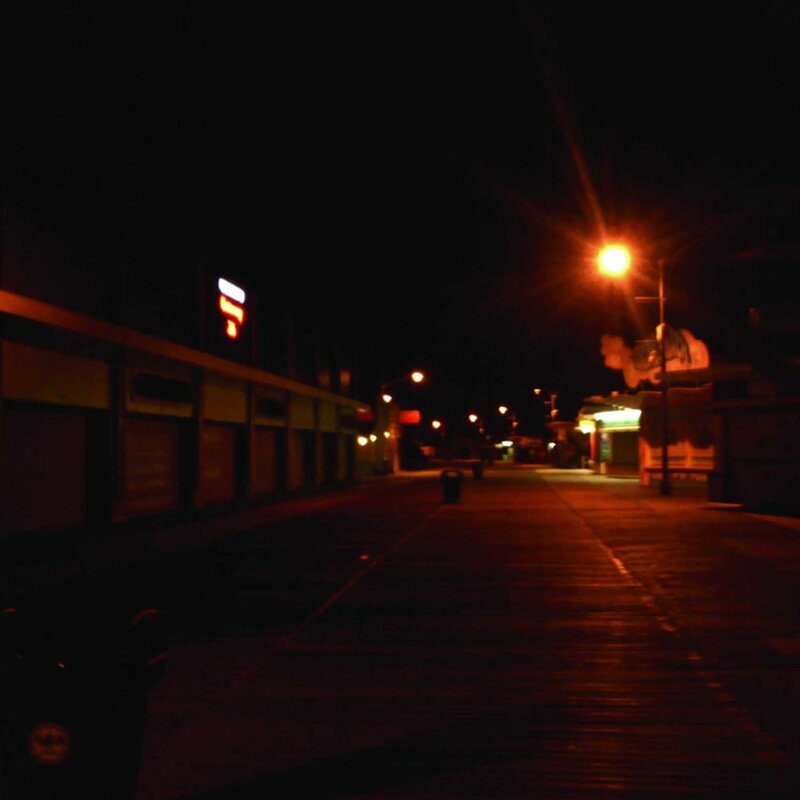 Overall, You Are Now Leaving the Boardwalk of Fame & Happiness is a raw and emotional journey of love lost, youthful summer nights, missing friends, and coping with those feelings. The first half is dealing with the initial frustrations and sadness, and the second half is life playing its course and turning those settings of defeat into lessons. You can feel the growth throughout the EP, which is a beautiful thing Ordet accomplishes. Connor Rothstein is also an incredibly talented photographer and genuine human being. Be sure to check out his work and follow “@cemeterytapes” on social media. He does a lot for so many people out of the kindness of his heart, so make sure to support him and give him a follow!